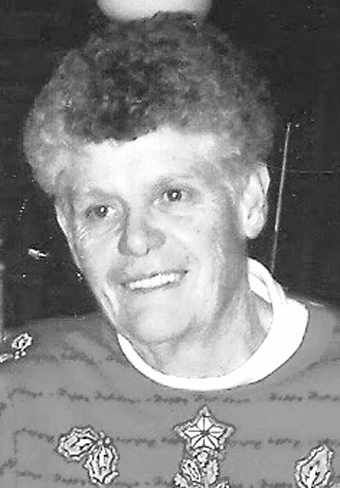 Linda Lou (Frantz) Golden, 80, of Salida passed away on Aug. 27, 2018 surrounded by her family. Linda was born September 11, 1937, in Salida to Frank and Ellen Frantz. She grew up and attended schools in Salida, graduating from Salida High School in 1955. Shortly after graduation she enlisted in the Women’s Army Corps as a Finance Disbursing Specialist. She attended basic and advanced training at Ft. McClellan, AL, Ft Benjamin Harrison, IN and Ft Meyer, VA before being assigned to Det B, Special Troops, US Army Europe, Patton Barracks, Heidelberg, Germany. While assigned in Germany, SP3 Frantz met SP3 Walter M. Golden Sr., from Omaha, NE, who was also a Soldier assigned in Heidelberg. They were married in Heidelberg on April 29, 1958. Upon their discharge from the service, they returned to Omaha, NE for a short period before moving back to Salida in 1959. Other than her time in the Army, short stay in Omaha and living in Leadville for four years, Linda lived all of her life in Salida. Linda had many lifelong friends in Salida and loved spending time with her family and being outdoors. She particularly enjoyed hunting, fishing and four wheeling. Her best times were spent at sporting events and activities with her children, grandchildren and great grandchildren. She worked as a typesetter at the Mountain Mail and managed the restaurant at Monarch Ski Area. She was preceded in death by her parents and older sister Beryl McConnell. Survivors include her husband of over 60 years, Walter M. Golden Sr.; sisters Meryl Ann Giles, Conway, AR and Mary Jean Brennan, Northglenn, CO and brother John Frantz, Thompson Station, TN; her children MG(R) Walter M. (Jo Ann) Golden Jr., Colorado Springs, CO, Kelly (Frank) Moravits, New Braunfels, TX and Casey (Kim) Golden, Salida; grandchildren Natalie (Will) Burke, San Diego, CA, Maj Walter M. (Christinia) Golden III, Alexandria, VA, Avery Golden, Huntsville, AL, Capt Adam (Laurie) Golden, Las Vegas, NV, Brooke Golden, Phoenix, AZ and Bailey Golden, Salida; great grandchildren Garla Golden, Alexandria, VA and Samuel Burke, San Diego, CA. In lieu of flowers, memorial contributions may be made to the American Cancer Society or Juvenile Rheumatoid Arthritis Foundation. Arrangements are with Lewis and Glenn Funeral Home.